At least Ruby Riott made it past the two minute mark this time. One night after losing to Ronda Rousey for just over 90 seconds, Riott got a rematch in the main event of this week's Raw . The about 12 minute competition was fast, hard hit and extra physical. Although the outcome was never in doubt, Riott and Rousey showed excellent chemistry with each other. Rousey wanted to win with an armbar submission and then beat-up the rest of The Riott Squad post-match. No Charlotte Flair. No Becky Lynch. 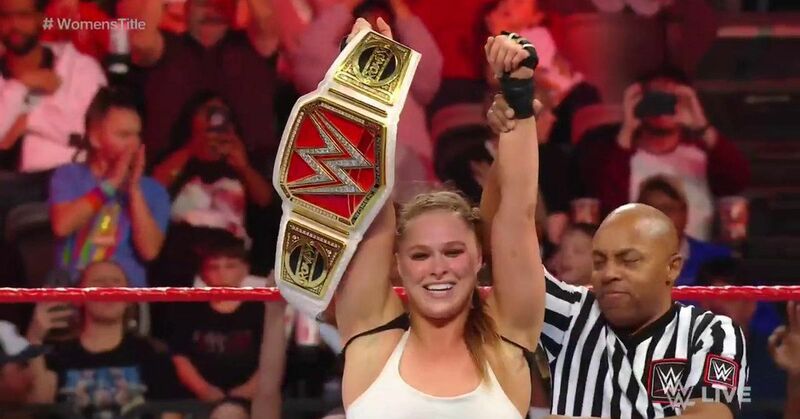 Just Ronda Rousey closes the book of another opponent in Raw women's lockers. Was it the right move by WWE to briefly press the pause button on Rouseys WrestleMania 35 feud? Get complete Raw results and coverage here .